A storage and management company needed help monitoring environmental factors in one of its data centers—a large, underground data center with an expansive underground lake. 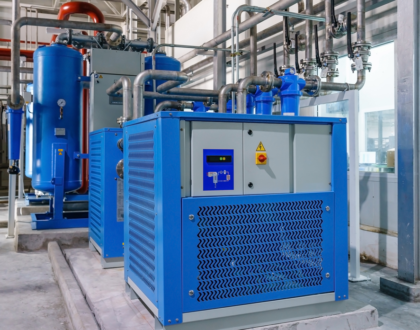 To efficiently cool the servers in the data center, the customer circulated water from the underground lake through several heat exchangers and needed help monitoring environmental factors from the lake. Data center environmental control is essential in managing reliability and capacity. Any hot spot could result in an expensive product failure and any cool area means capacity isn’t being realized. Due to the location of the cooling lake, however, there were several limitations in monitoring. In the 19th Century mine, there was limited availability to power and a limited number of data connections on the lake. There also was a significant amount of dust in the monitoring area. The customer had previously attempted to solve these issues in the extremely difficult RF environment—damp underground, narrow stone corridors and limited power—but was not successful. 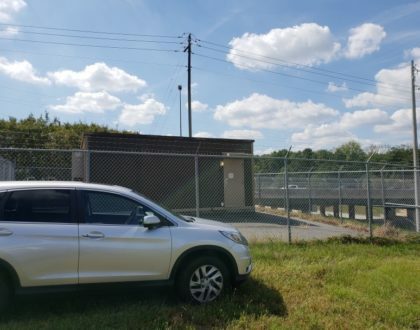 To solve limited power and data connection issues, the customer selected the Wzzard Mesh Wireless Sensing Solution from B+B SmartWorx powered by Advantech. 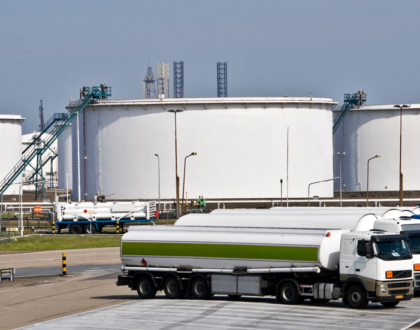 Wzzard Wireless Sensing Nodes are well-suited for these types of industrial environments and can be battery powered. They run for several years on a single set of batteries and are rugged devices, rated for extreme environments. Even in such adversarial wireless conditions, the Dust Wireless Mesh system provides 99.999% data reliability. Thirty-one battery-operated Wzzard nodes were deployed at various locations throughout the lake, each measuring temperature of the air above the water, surface temperature and temperatures roughly 15 inches below the surface. A SmartSwarm 342 gateway was also mounted in a central location in the lake area, and connected via fiber to an Advantech Panel PC for data collection. Additional Wzzard nodes were added as repeaters to ensure data reliability. The collected data is displayed on the Panel PC using simple Node-RED scripting and dashboard. 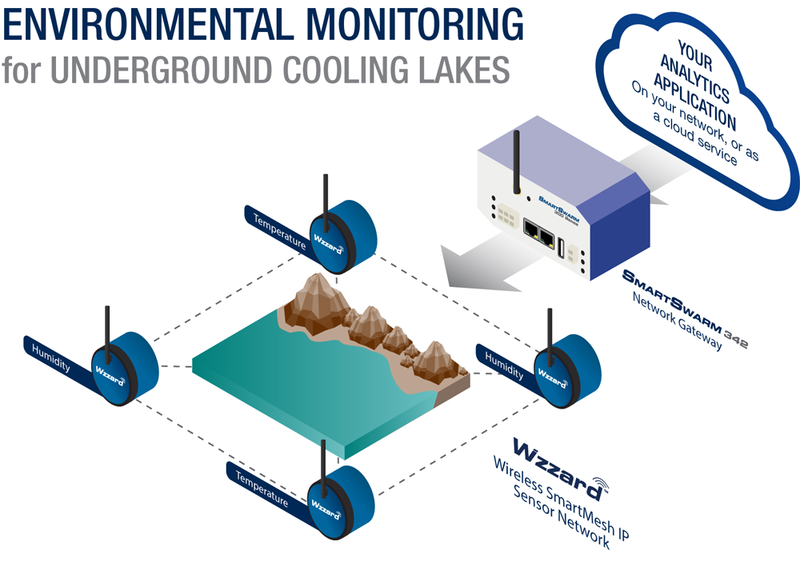 Using the Wzzard Wireless Sensing Solutions, B+B SmartWorx was able to provide the customer a complete end-to-end solution that gives them visibility to all temperatures on the lake, and provide critical information necessary to efficiently operate. Get in contact with our team!